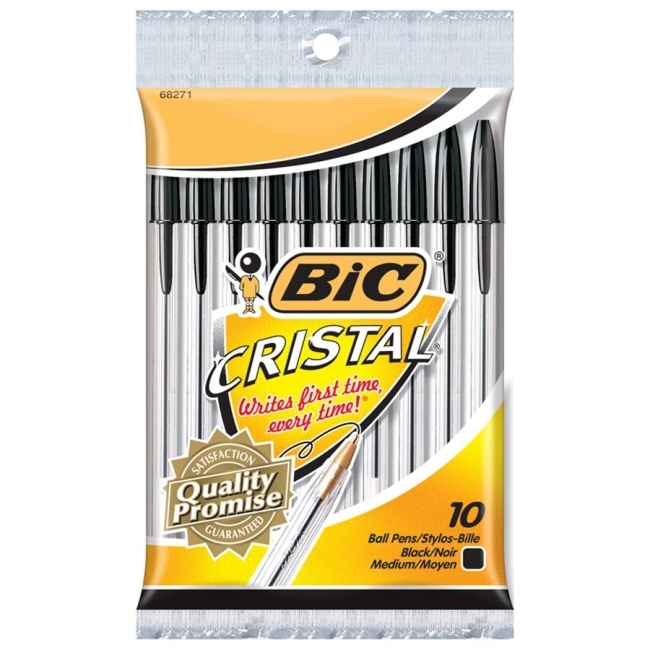 Cristal Ballpoint Pen has a clear barrel so you can see the available ink supply and a roll-proof, hexagon-shaped barrel for comfortable controlled writing. Design includes a ventilated cap and brass medium point with tungsten carbide ball. Cap color matches ink color. 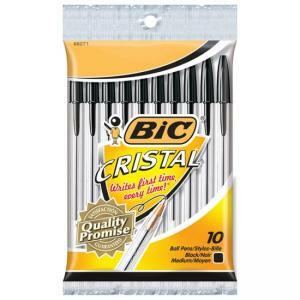 Ballpoint pen delivers long-lasting dependability and smooth writing and writes with consistent, sharp, effortless lines. Nonrefillable.